The L.12.12. collection by Lacoste, dedicated to the first polo shirt designed in 1927 (""L"" stands for Lacoste, the number 1 symbolizes the ""Petit PiquÃ©â€� material used, 2 represents short sleeves and 12 is the number of prototypes made before the final product) was presented in 2011 with three men's fragrances: White, Blue and Green. In February 2012, the collection expands with the fourth edition - L.12.12. Red (Rouge). L.12.12. 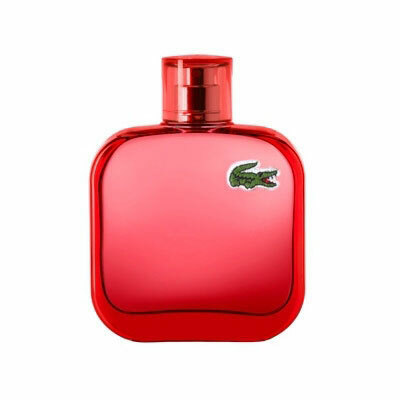 Red is a passionate, dynamic and energetic woody - spicy fragrant composition. It opens with powerful aromas of red roiboos tea, mandarin liqueur and juicy mango. The heart is very spicy and includes notes of black pepper, ginger and cardamom. The warm base follows with benzoin and acacia wood.